Encontrei 6 Hotéis em Bettna. Escolha a data de entrada e saída para ver os hotéis disponíveis em Bettna. Sem informar as datas, os preços com (*) são preços médios de cada hotel e nos arredores até uma distância de 10 km. Offering a terrace and views of the garden, Lilla Hult B&B is located in Bettna in the Sodermanland Region, 70 km from Norrköping. Free private parking is available on site. Certain rooms include a seating area where you can relax. Enjoy a cup of tea from your terrace or balcony. Every room is fitted with a shared bathroom with a bath and bidet, with bathrobes, slippers and free toiletries provided. Guests can enjoy various activities in the surroundings, including fishing and hiking. Nyköping is 27 km from Lilla Hult B&B, while Katrineholm is 27 km away. Stockholm Skavsta Airport is 21 km from the property. Located 45 km from Norrköping, Holiday Home Nyköping - 09 offers accommodation in Farneby. The property is 25 km from Nyköping and free private parking is offered. The unit equipped with a kitchen with a dishwasher and microwave. A TV is provided. There is a private bathroom with a bath or shower. Katrineholm is 29 km from Holiday Home Nyköping - 09, while Trosa is 50 km from the property. The nearest airport is Stockholm Skavsta Airport, 19 km from Holiday Home Nyköping - 09. Holiday home Binklinge Gård Rättarbostaden Vrena is an eight person cottage located in Vrena. The accommodation will provide a TV with a DVD player and a radio. There is a fully equipped kitchen, including an electric cooker, a deep freeze, a microwave and a refrigerator. The bathroom comes with a shower. The property has a natural plot (2000m2) and a terrace with garden furniture and a barbecue. Also there is a sauna. 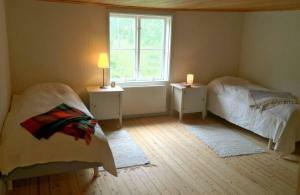 This holiday home is 18 km from Skavsta Airport. Nearby there is a lake (5,0 km), a restaurant (4,0 km) and a shopping area (4,0 km). Four parking places are available on the plot. Holiday home Nytorp Vrena is located in Vrena. The accommodation will provide you with a TV and a terrace. There is a full kitchen with a dishwasher and a microwave. Private bathrooms also come with a shower. You can enjoy sea view from all the rooms. An array of activities can be enjoyed on site or in the surroundings, including fishing, hiking and mini golf. The property offers free parking. This holiday home is 89 km from Bromma Airport. Located 35 km from Norrköping, Holiday home Torsebro Torsbacka Björkvik offers accommodation in Sjöstugan. It provides free private parking. The unit equipped with a kitchen with a microwave and fridge. A TV is offered. Nyköping is 33 km from Holiday home Torsebro Torsbacka Björkvik, while Katrineholm is 21 km from the property. The nearest airport is Stockholm Skavsta Airport, 27 km from Holiday home Torsebro Torsbacka Björkvik. Three-Bedroom Holiday home in Flen offers pet-friendly accommodation in Sannerby, 45 km from Eskilstuna. It provides free private parking. An oven and a refrigerator can be found in the kitchen and there is a private bathroom. A TV is available. Nyköping is 31 km from Three-Bedroom Holiday home in Flen, while Katrineholm is 30 km from the property. The nearest airport is Skavsta Airport, 25 km from the property.